Rarely do we achieve success in a vacuum. Most often, we have a cast of supporters and mentors to credit for our achievements. Mentors play a crucial role in helping us envision our success and pursue it with passion, and these relationships are borne of personal or professional connections that have strengthened over the years. The advice a mentor can give is often applicable to broad personal and professional goals, making this kind of relationship important to the arc of one’s career. But if you’re looking for a way to enact organizational change in your specific professional context, a more formalized coaching relationship may help to maximize your success. Enter leadership coaching. A leadership coach, sometimes referred to as an executive coach, tailors their approach to suit your professional and organizational needs. But the term’s implications may worry you, because the role was once intended to weed out ineffective leaders. Fear not. The role of a leadership coach has evolved a great deal. As Harvard Business Review’s Diane Coutu and Carol Kauffman explain, “the reasons companies engage coaches have changed. Ten years ago, most companies engaged a coach to help fix toxic behavior at the top. Today, most coaching is about developing the capabilities of high-potential performers.” This chart from the piece by Coutu and Kauffman highlights how the role of leadership coaches has evolved. The role of a leadership coach has evolved in other ways, too. As the Institute for Leadership Coaching points out, “The game has changed from rewarding seniority and longevity to understanding how to not only retain human capital, but to inspire and develop talented people to bring about high-performing teams.” This is great news for young organizations looking to rapidly develop staff members who show leadership potential. This is also good for established organizations who are seeking ways to empower a new generation of leaders. Consider what level of coaching you’re looking for. For example, do your potential leaders need support with explicit skill areas? Could they benefit from development of confidence and leadership traits instead? 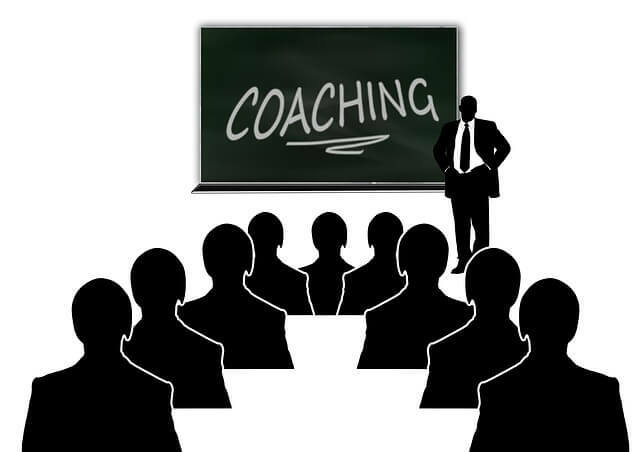 The Institute for Leadership Coaching defines three levels of coaching based on the degree of the organization’s needs–cognitive/task-oriented coaching, performance coaching, and developmental coaching. Seek out a coach that understands that “soft skills” like relationship-building and communication are not secondary to business skills. Instead, they underlie them to make them stronger. The best leadership coaches understand that personality traits and professional leadership success are closely linked, and that the former are not set in stone, but instead very able to be developed alongside the skills we associate with business success. Have you worked with a leadership coach before? What benefits did your organization reap? What cautions might you offer? Please share your experiences in the comments! This entry was posted in Blog, Uncategorized and tagged B2B, business owners, coaching, leadership. Bookmark the permalink.